• Essential’s molding detail is subtly enhanced by a quarter rounds at the top and bottom, and runs down the pilasters and under the top row of drawers. 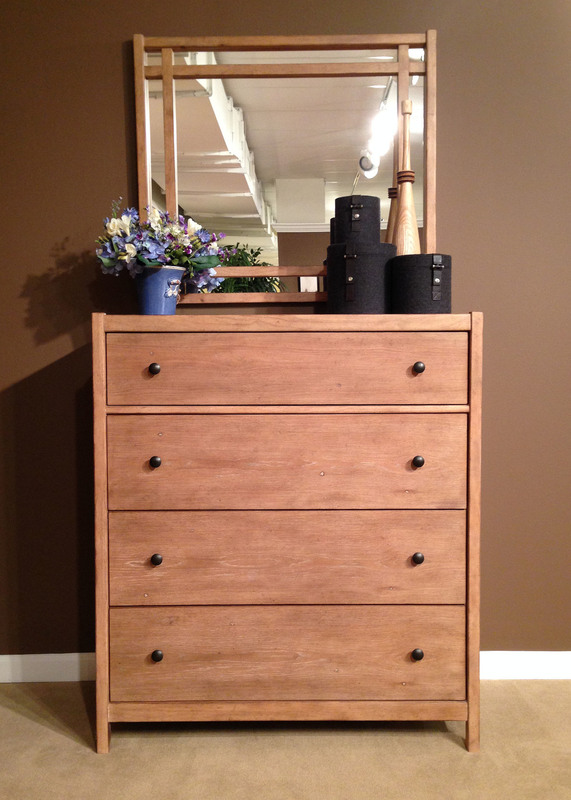 • Secure and precise nesting is guaranteed through the placement of levelers on all the 46” high pieces --keeping every combination balanced and seamlessly aligned, from the smallest nesting configuration to 72 “ wide (2 piers and chest or entertainment furniture) up to a full 88” (2 piers and large dresser). 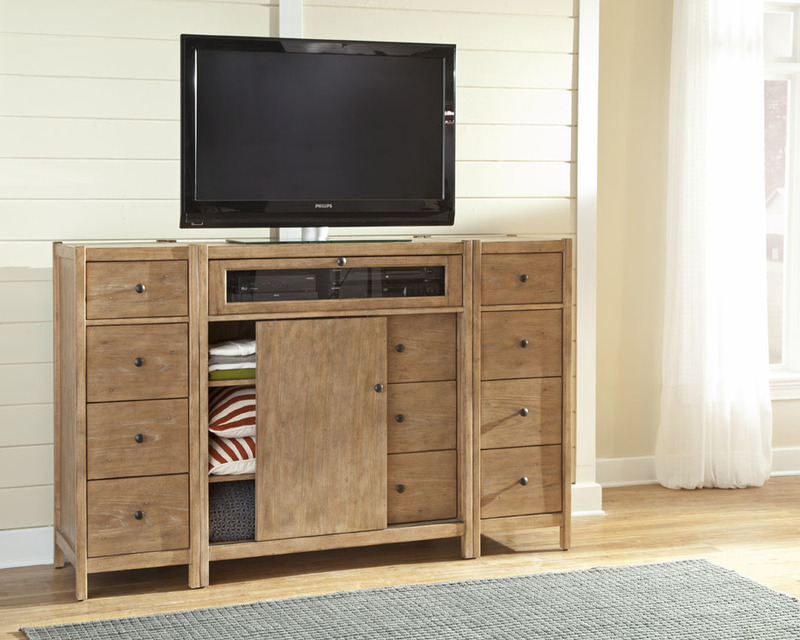 • The entertainment center incorporates conveniently placed wire management and power access. 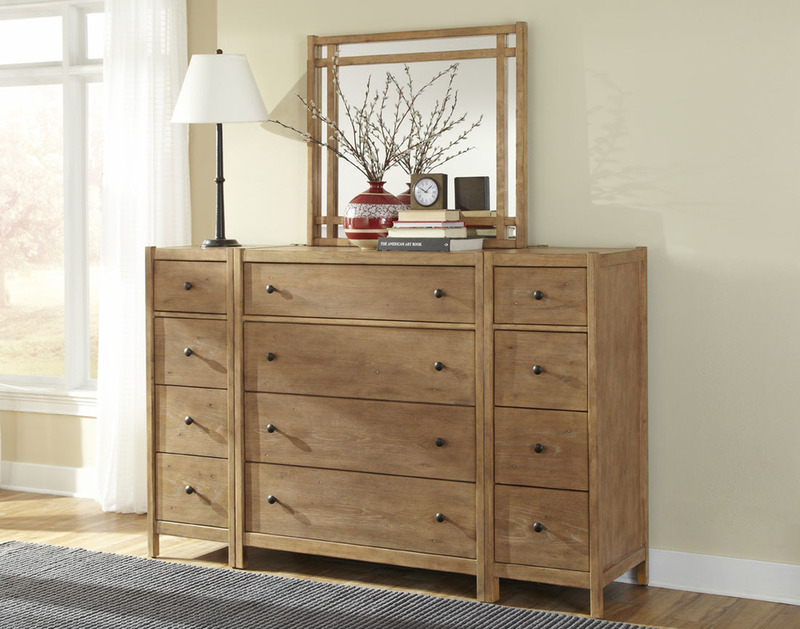 The top drawer, designed for component placement, has a beveled glass front, set in a sturdy frame with heavy hinges and a full-length pull-out tray for ease of installation. Below, a sliding door moves from left to right – concealing a stationary shelf and two adjustable shelves on the left side of the piece, and three deep drawers on the right.